In recent years, many companies have focused their budget on distribution marketing. Through distribution marketing, products can be more directly distributed to consumers and the rate of return is increased. 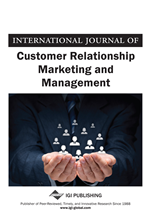 The researchers in this study design a model for selecting distribution marketing companies on the basis of the perceptions of companies selling certain brands (BCs). First, the proposed model adopts the modified Delphi method to identify suitable criteria for evaluating distribution marketing companies. Next, the model applies the analytic hierarchy process (AHP) to determine the relative weights of evaluation criteria, ranks the alternatives and selects the distribution marketing company (DMC). This paper also adopts sensitivity analysis to examine how other evaluative criteria would change with any alterations in the weightings of the evaluation criteria. Additionally, a well-known Taiwanese beverage company is used as an example to prove how a DMC is selected by applying this model. The results indicated that BCs rank criteria in terms of importance as follows: store services, dispatching sales manpower, product management, service standards and cost consciousness. Finally, the model adopts Sensitivity Analysis to inquire into which criteria weights change the evaluative factor, and how other evaluative factors incur corresponding degrees of change. This proposed model can provide enterprises an objective and efficient method to select the optimal DMC. In recent years, the distribution channel environment in Taiwan has changed from production-oriented to marketing-oriented. Enterprises have gradually become aware of the importance of goods channels and channel strategies. Anyplace where transactions between producers and consumers take place are all within the scope of channels, such as physical spaces like department stores, volume sellers, supermarkets, and virtual spaces such as online shopping websites and TV shopping channels. They are also the marketing battlefields where many brands can reach consumers. According to survey data from Nielsen in Taiwan, among all the channels, the percentage of modern chain stores such as supermarkets and hypermarkets had increased from 83% in 2005 to 93% in 2008, meaning that the competitiveness of traditional channels such as local independent stores and conventional markets has been going downhill. Moreover, when consumers make purchasing decisions, the important role played by these modern chain stores with complete circulation planning and product displays has become greater and greater with their increasing convenience and speed of expansion in the overall market. One may infer that such crucial key strategies as product circulation and displays in distribution marketing are helping consumers to make choices among various brands (Chiu, 2009). Over the years, diversity of media has been increasing. Promoting products through advertisements can no longer get consumers’ attention. The traditional method of spending more money on media to attract consumers to visit hypermarkets to buy certain products is no longer considered effective (Wang, 2009). Many owners of BCs have started to be aware that focusing budgets on distribution marketing can help to increase effectiveness and return on investment. However, nowadays, products and channels are out of proportion. Due to companies that are keen to sell their brands (BCs) having limited resources, they are unable to handle brand distribution events; therefore they outsource to DMCs. Selection of a distribution marketing service company (DMC) is a multi-criteria decision-making issue. It requires proper evaluation of criteria and selection procedures to determine the most suitable DMC. In Taiwan, there is no objective and quantified decision-making model regarding the issue of selecting a DMC. Previous studies related to distribution marketing have mostly been focused on case studies or competition strategies of distributors. Therefore, this study can offer BCs some basic principles as references when selecting a DMC with suitable services. DMCs are bridges between BCs and marketing channels. Fortunate BCs can find the most suitable DMCs for cooperation based on their past experiences or recommendations. However, other BCs may not have such positive cooperation with DMCs. DMCs are very important, especially in a highly competitive consumption environment, and their selection may influence BCs' product sales performances. Therefore, this study can help BCs to build selection criteria from a proper and objective view for selecting a DMC. To explore through sensitivity analysis the influences of changes in weights of criteria on selection of the best company. It is hoped that the model created for this study can be used as a reference for BCs when selecting DMCs, as well as a reference for DMCs to improve service quality.